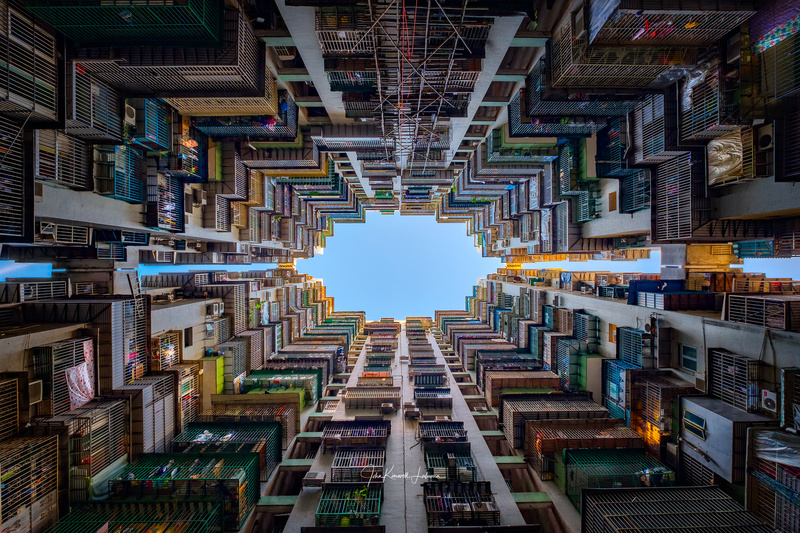 A wide angle lens will tend to converge lines towards the center and having used that in this shot gave us an idea of how dense the apartments in Macau are. Having one of the densest populations on earth, one just have to simply look up to see the tightly packed living spaces. This particular area show a symmetrical form but it also shows the individual characters of each living space. woahhh this is amazing!!! such a unique perspective and perfect symmetry!